please use original Eachine Racer 180 Antenna, otherwise the image will show many ripples. 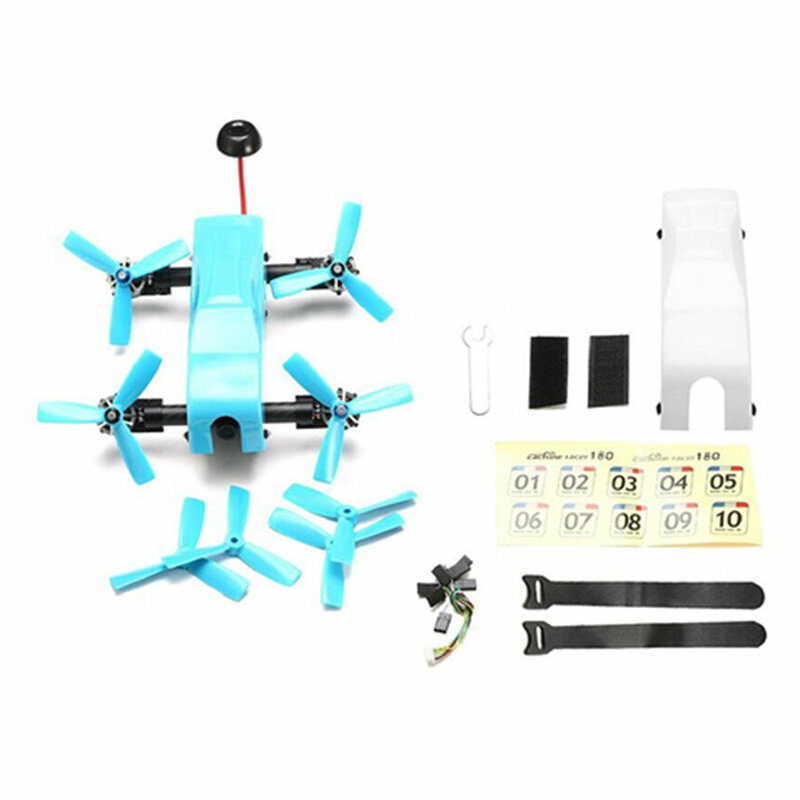 The below 3 videos will help to learn this Eachine racer 180 more, please watch them seriously before ordering. CNC aluminum carbon fiber body connection, easy to replace parts. Standard F3 6DOF flight controller, more stable flight. 2205 2350KV brushless motor, tilt-Rotor design, dynamic rotor tilting. Built in low voltage alarm. Comes with pasters to DIY the surface of your Eachine racer 180 as you like.